Panoramic WiFi Modems ensure super fast Internet coverage throughout your whole home. Panoramic WiFi modems combine the functionality of an Internet WiFi modem and telephone modem into one device. This device has 24-channel support and utilizes our most advanced technology to support our fastest speeds. A Panoramic WiFi modem is recommended for Cox High Speed Internet Ultimate. 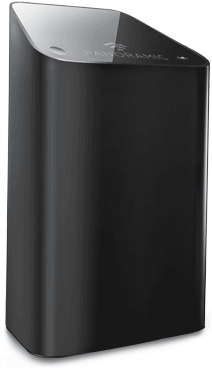 The Panoramic WiFi Modem is designed to bring the full power high speed Internet from Cox to every inch of your home. Have your own modem? Make sure your modem is compatible with Cox High Speed Internet. A DOCSIS 3.0 or newer modem is recommended for all customers. Pick up your Self-Install Kit at your local Cox Solutions Store or have it delivered to your home in 1-2 days. Don’t have time? Select pro install and schedule one of our expert technicians for a fast, efficient set up. Learn how much speed you’ll need to connect multiple devices on your home network. Get peace of mind with reliable protection for your home's wiring connections. Explore options and pricing for Cox High Speed InternetSM packages and find the right one for you. Not all equipment sold by Cox is available in every Cox market. Check with your local market to find out what equipment is available. Also, modems that have been purchased from second hand vendors, such as an online auction, garage sale, or pawn shop, may not work on the Cox High Speed Internet service.